A bit embarrassing that the sound quality (hiss, clicking, volume fluctuations) on Craig’s end was so poor. I doubt it did his credibility in the podcast market any favours :/ I did persevere through the whole episode, but there were times when I thought I might not be able to continue because it was so bad. 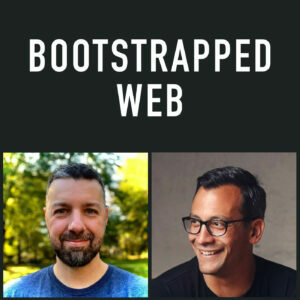 It’s a shame I came on here to leave a negative comment because I’ve been listing to the Bootstrapped Web podcast since it started and really look forward to each episode. It was your podcast that got me hooked on listening to podcasts in general. Thanks so much for sharing your insights throughout the series, they’ve been really valuable. I would leave you a 5 star review, but I’m outside the Apple walled garden and don’t use iTunes to get your episodes (I assume a good chunk of your listeners are like me, no?). I use an app on my phone to get the podcast (Podcast Addict) and there isn’t any review-leaving capability. If there’s another way I can show my love, let me know. Looking forward to the next Jordan and Brian episode. Really? 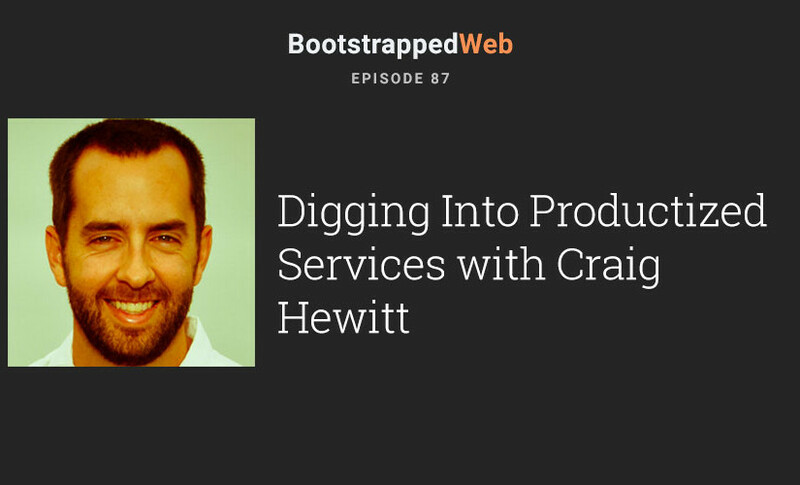 I listened back yesterday and didn’t have any problem with Craig’s audio. Sounded good to me all the way through. I’m not so happy with my new mic that I’ve been using on the past few episodes. I just ordered a new one, and you’ll hear that one starting in episode 90. I think you’re right. I just downloaded stitcher and it sounds fine. Maybe there’s something wrong with the stream that podcast addict uses. You’re a sound guy Brian. Could it be a mono-stereo encoding issue? It only hisses when Craig was speaking. Weird. Anyway, it’s never happened before and I’ll be using the much better stitcher to get your episodes from now on. And apologies to Craig, who sounds fine after all. Great podcast. I learned a lot and really appreciated your transperancy. It’s so rare to get an honest inside look into how businesses operate. Working with a distributed team myself, I found your insights especially valuable. Thanks!